Thousands of counter-protestors successfully halted a neo-Nazi march on the anniversary of Rudolf Hess’s death on the outskirts of Berlin last Saturday. International media is largely hailing this as a victory for the left and praising the efforts of the brave protestors. What they’re not talking about, however, is how the counter-demonstrators accomplished this feat. Anti-Nazi counter-protestors set fire to a train signal outside of Berlin last Saturday morning in order to prevent a train full of neo-Nazis who came to participate in the march from reaching its destination. The fire was successful in stopping that train – and all of the trains that were scheduled on that route for the next three days. This included two of the most highly traveled routes in Germany: Berlin-Hamburg and Berlin-Hannover. There is no hotter topic in German media right now than refugees. I moved to Hamburg about a month ago now. I’m no expert and I shy to call myself a true Hamburger, but the city’s made a strong impression on me so far. Here are some of my thoughts. Hamburg is a city of extremes. The vegans are militant and the feminists are intense. On the far right end of the political spectrum, neo-Nazis beat up people on the streets and spew anti-immigrant rhetoric in the political offices. 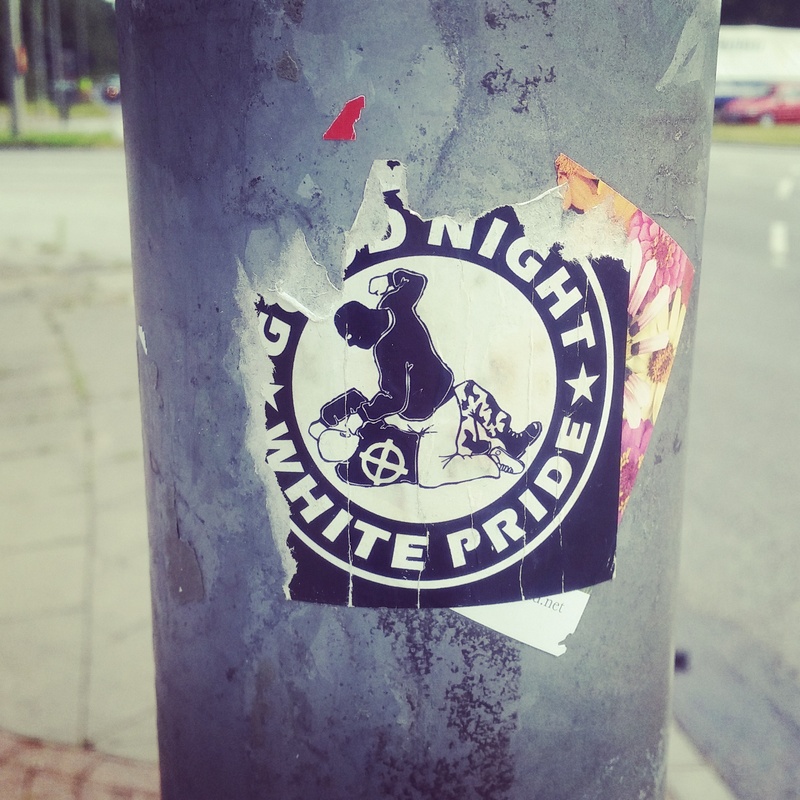 On the left, self-proclaimed antifascists turn abandoned buildings into refugee camps and community gathering spaces and glue anti-Nazi stickers in the subway stations. Even the weather is extreme – after a cool and drizzly June, this weekend hit 36 C (97 F). So let’s go to the punk rock show! I wanna hear it play real loud! 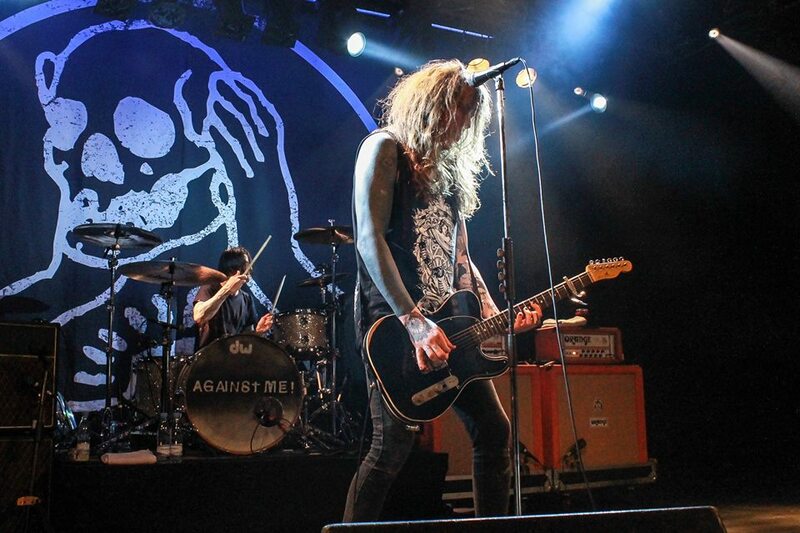 Of all the artists and all the concert venues in the world, the American punk rock band Against Me! performed at Fonden Voxhall in Aarhus last week. As part of their European tour, this band, which is huge among rockers and punkers in the U.S., stopped by li’l ole Aarhus to play for a crowd of less than 100 people on a weekday night.